Our quilt is entitled “Truax Truck”. 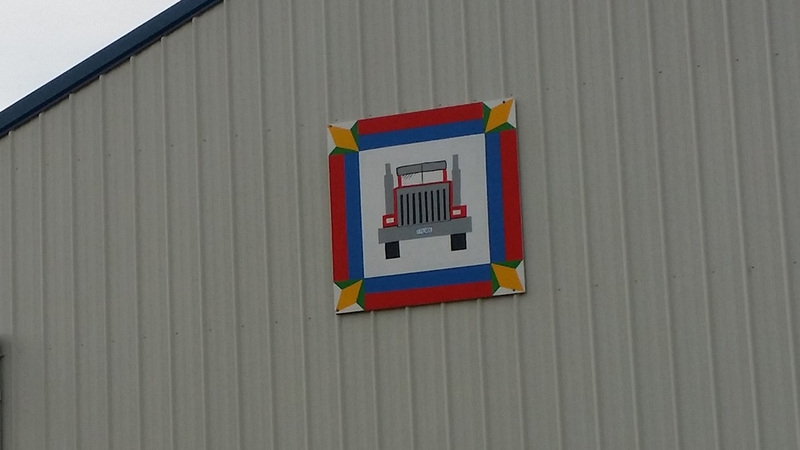 The quilt can be found on the truck shed at our “Narrows” farm. This farm has been in the McLucas family since the early 1960’s. The truck represents our growing trucking company, which was originally founded in 2000. In the corners of the quilt are corn ears. These ears of corn represent the grains grown on our farm and hauled by our trucks. Donnie and Jessica (McLucas) Truax.